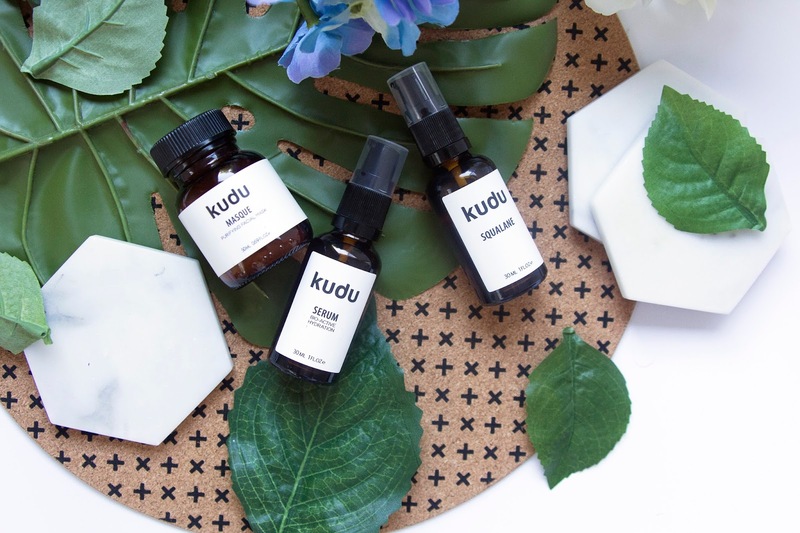 Today we're going to have a little chat about a brand called Kudu. 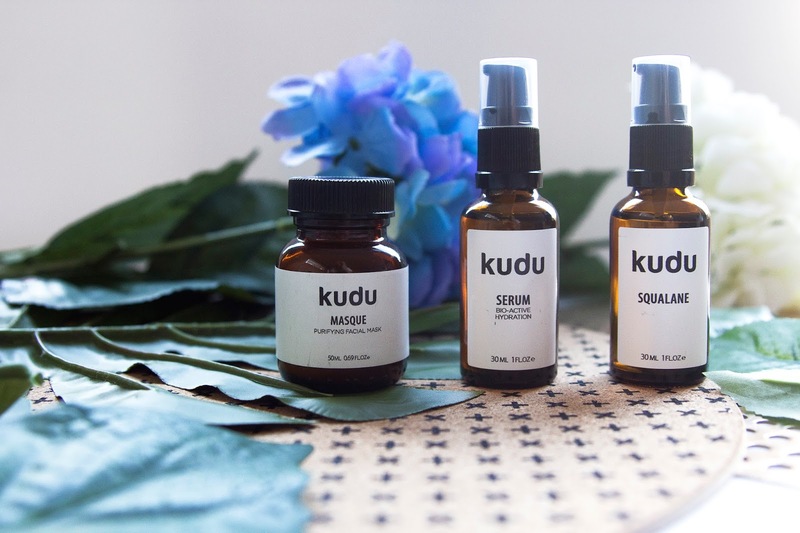 The lovely people from Kudu sent me a couple of their products to test out and so I thought I'd share my thoughts on them. A quick bit about Kudu. 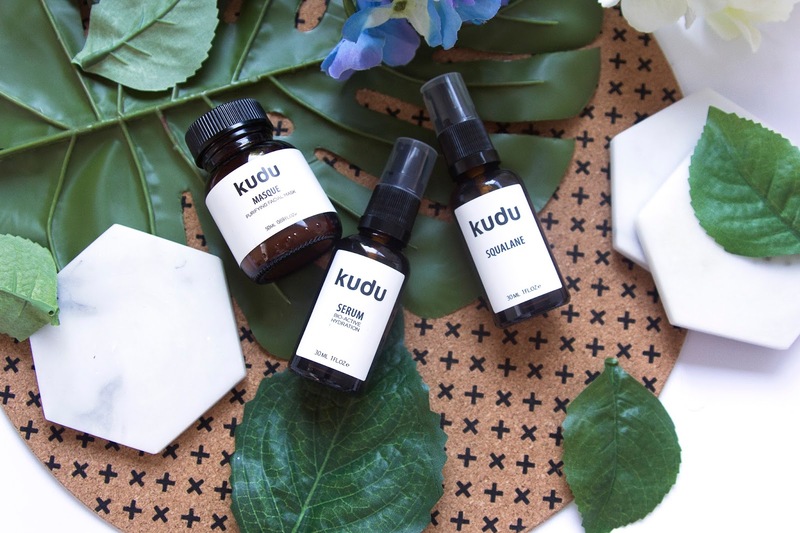 Based in South Africa, they use various plant-based extracts and organic active botanical ingridents from the region in their products. Each product is hand crafted, so you know you're getting the best you can buy, and they are completely free of any harmful chemicals. They also make sure to avoid using any essential oils in their facial products that could cause irratation, inflammaton or hyper-pigmentation. 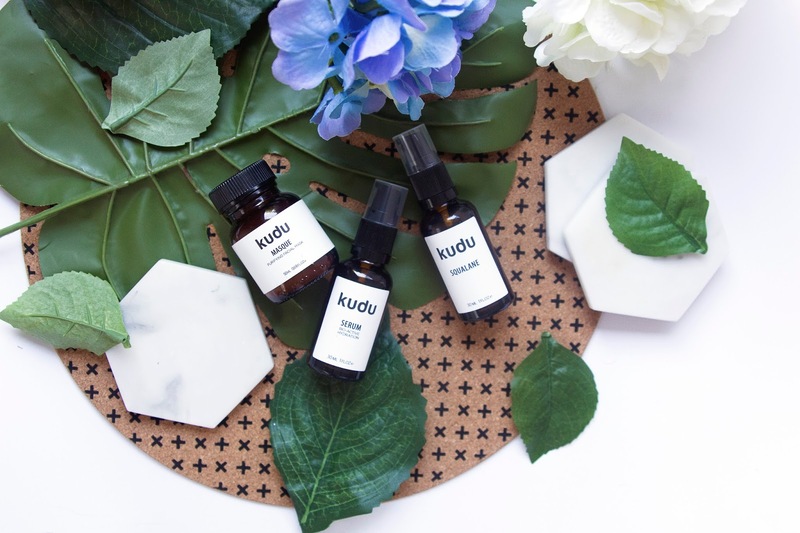 Their packaging is also made from recycled materials and they are completely cruelty-free, so this brand is just kicking goals all round. Now onto what I tried and tested. 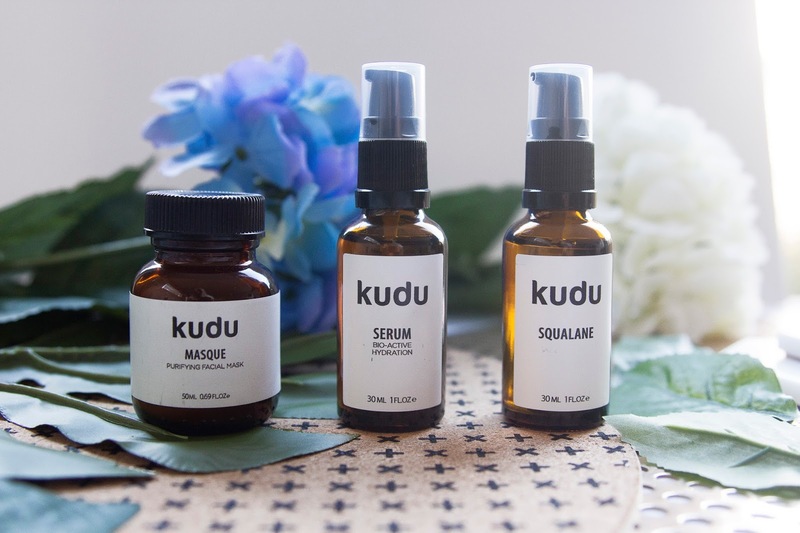 When I pumped some of this stuff onto my hand, I instanely noticed it seemed quite oily, so I became quite nervous for my skin, because you know my facial oil woes. I gave it a shot anyway and followed with my usual night time moisturiser once it had all sunk into my skin. When I first felt my face when everything had settled, I noticed some of my moisrturiser seemed to bundle up and come off, whether that was the fault of the serum or the moisturiser, or it just wasn't the best combination, I'm not sure. So I didn't have high hopes for my review on this serum. However once I removed all the built up moisturiser from my face, my skin actually felt so damn good. So depite the few hiccups, I was left feeling pretty impressed with this product, and despite its oily nature I think I'm going to keep it in my skincare rountine for the long haul. I was so confused by what this product was suppose to be at first, but on reading about this stuff I discovered it is meant to be used as a mosituriser. Again, this has quite an oily consistency, but unlike the serum above, I was left less impressed with this one. That said, it's only because this stuff did excatly what all normal facial oils do, and left me with the excat same feeling they always do. Because I have oiler skin, putting another layer of oil on top after cleansing never really sits quite well, and I'm always left feeling unclean and just eckkk. That said, I face that trouble with most facial oils, so going off that, it seems this does act like most facial oils do, and therefore, if facials oils are your thing and something your skin gets along with, this will probably work quite well for you. We all know how much I love trying new face masks, and when I saw this was a clay one, I got even more excited. So of course, I left the best till last. This is quite a small jar, yet you get a fair amount of powder in it, and it would make for a great travelling companion. As I find with a lot of these clay powder masks which you have to mix with water, I found the instructions on the back didn't quite work for me. They pretty much always say to mix 1 tbs of the product with 1 tbs of water, which makes sense in theory, but this powder is quite light weight, and so I found that to be way to much water, and was left with a super liquidy formula that wouldn't apply properly to my face. Adjusting the measurments till I had a thicker consistency which I prefered, I then found my love for it. Like the Odacite mask I just reviewed, this is quite a light clay mask, and while it does tighten up somewhat on drying, it's not super tight and won't leave you red for an hour afterwards like some do. It left my skin feeling clean and refershed and I'll certainly be using this little baby again and again. Ooh I've never heard of Kudu before! I think the mask sounds amazing though and you're totally right - it's super travel friendly! I like the idea of this brand, especially the powder masque. I have never tried a powder one, So i'd love to try that one. Great honest review too! This ticks a lot of boxes! Love the simple packaging! Ooooh I love the look of that masque!